Attention all WV fellows in training, internal medicine residents and CV team members! Compete to win in the WV-ACC Poster Competition on May 11, 2019. Abstracts are due April 19, 2019. 1. Fellows-in-Training All current West Virginia fellows in a cardiology training program are invited to present their research (past or present) or a case report during the poster session, scheduled for Saturday, May 11. Eligible posters may present recent data, case study or information that has been presented previously at a local or national meeting. 2. Internal Medicine Residents All current West Virginia internal medicine residents are invited to present a cardiovascular case report during the poster session, scheduled for Saturday, May 11. 3. CV Team Members All current West Virginia-ACC CV Team Members (RN, NP, CNS, PA, PharmD) are invited to present their research (past or present) during the poster session, scheduled for Saturday, May 11. 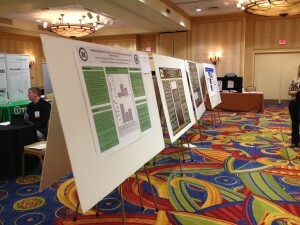 Eligible posters may present recent data or information that has been presented previously at a local or national meeting. If you choose to submit a case study, here are some guidelines: 1. Case reports should be of a rare, unusual, or unexpected finding in a patient; 2. The diagnosis should be known or the workup as complete as possible (all evidence as to the diagnosis should be included); 3. There should be a brief review of the literature including numbers of patients with similar findings/outcomes, risk factors, how it has been evaluated/treated, and outcomes where known; 4. The case should include as much follow-up as is available; 5. Pathology slides and supporting evidence should be included. Here is a good reference for putting together a case report. The accepted abstracts will be presented as posters and judged at the poster presentation on Saturday, May 11. Winners will be announced at the end of the meeting. To prepare your abstract for the poster presentation, please note that you will have available to you a 36″x48″ board to which to adhere your presentation material. Please bring pushpins to affix your material. Please stand by your posters to answer questions. * Complete the abstract template and upload as indicated in the application form. * Only one abstract may be submitted per person. * Submission of an abstract constitutes a commitment by the author to be present on May 11 if his/her poster is accepted. If the author is unable to attend, the poster will not be permitted to be presented.